There’s something about owning something that has survived the test of time. Something that’s been handed down from generation to generation. Something with a history and a story to tell. 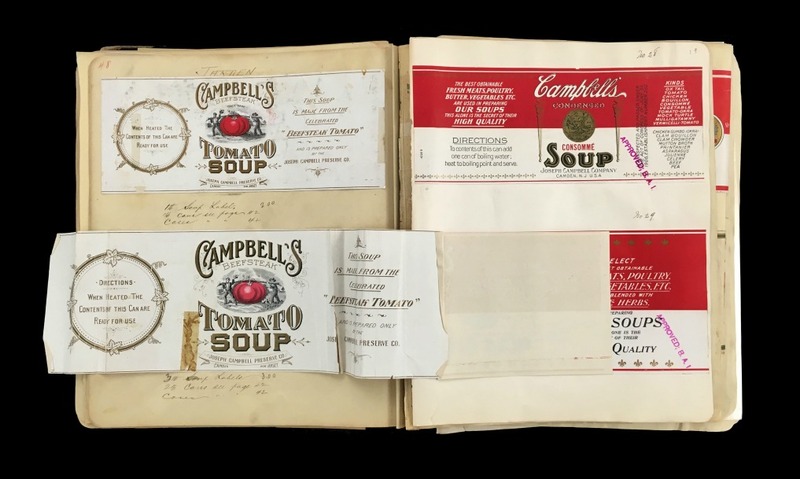 I love anything with an interesting history so when Campbell Soup Company asked me to collaborate to share my version of nostalgia, I couldn’t say no. 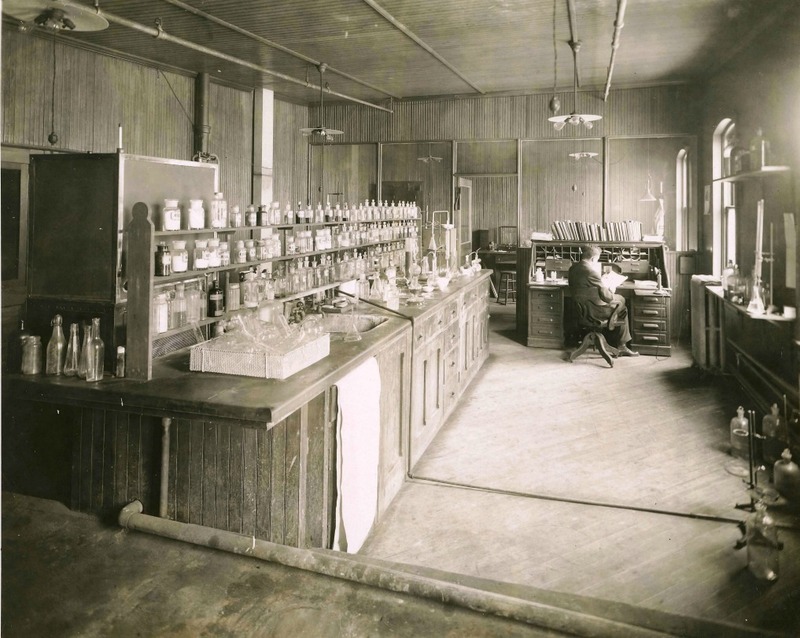 I love that Campbell dug through it’s archives this year to find the original 1915 Beefsteak Tomato Soup recipe created by then president Dr. John Dorrance (that’s him in his lab in the photo above). They scoured local New Jersey farms until they found one with 20,000 pounds of Jersey Beefsteak tomatoes so they could replicate the recipe. They did it – a limited edition supply of soup in 24 ounce jars with a replica of the original label with a drawing of two farmers carrying a larger than life tomato off of the field. For me, certain comfort foods evoke a feeling of nostalgia and nothing brings memories to life for me more than the smell of a simmering pot of soup. As a kid, one of my favorite comfort foods was Campbell’s Chicken Noodle soup with the iconic red and white label. My girls love tomato soup and I love welcoming them home from school on cold winter days with a pot of soup simmering on the stove top. 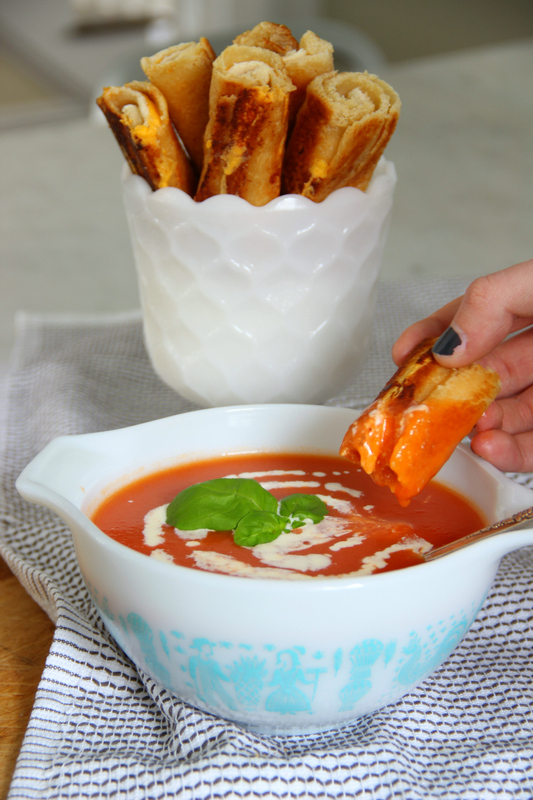 What better to pair tomato soup with than a batch of gooey grilled cheese dippers? There is nothing better than the smell of a favorite comfort food to bring memories flooding in. This is a sponsored conversation written by me on behalf of Campbells. The opinions and text are all mine. I love the jar too – and yes, you need to make these for your kids! 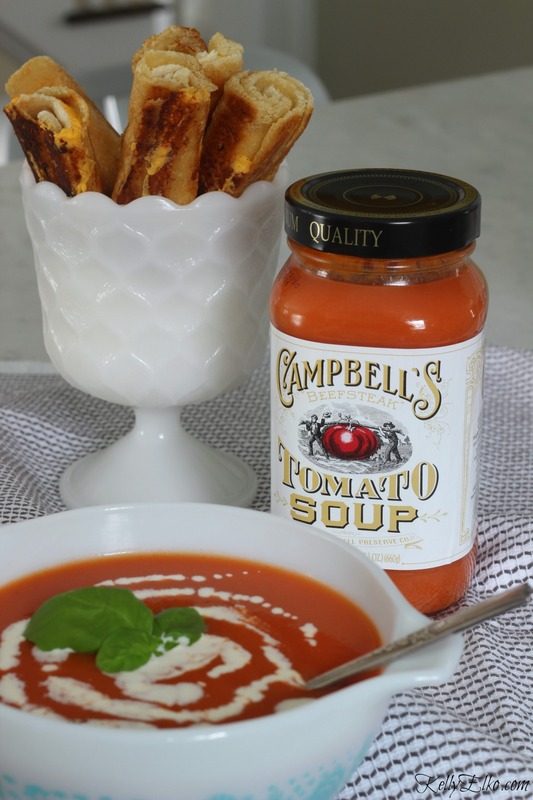 We grew up with Campbell’s soups. My granny made tomato with grilled cheese for us all the time. We’d sit at her old maple table and boy do these pictures take me back! I can almost smell that soup! Isn’t it funny how smelling a food can bring us right back to our childhoods! Yum…comfort food at its finest. so clever rolling the sandwich. Thanks Diane – what’s better than bread, cheese and soup! Those look so good! I think it’s more moments then food that brings back memories although I do remember my dad would cook oatmeal on super cold days and homemade doughnuts before school. School days were much more enjoyable on those days. Thanks for sharing. You had me at homemade doughnuts! And it’s perfect for the kids Alicia! 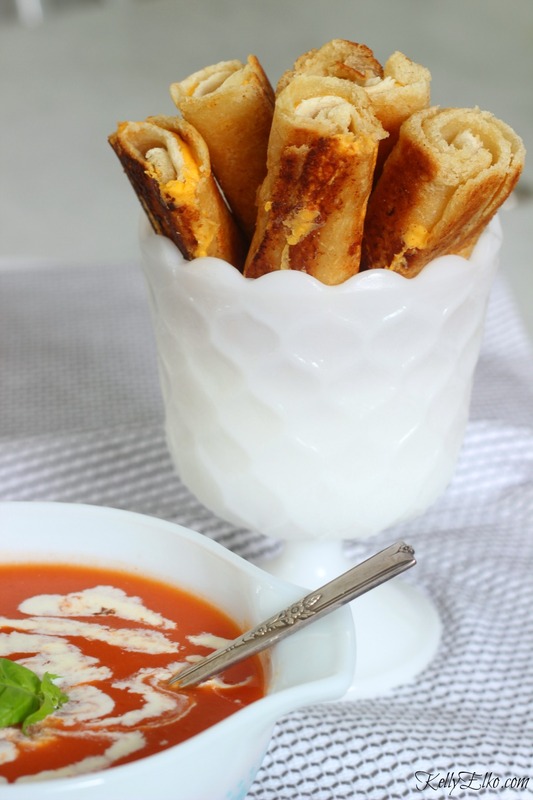 Oh boy, what a great idea those grilled cheese dippers are! YUM. For me it was summertime and fresh black-eyed peas with bacon simmering on the stove, getting ready for some fried chicken and mashed potatoes with gravy, and fresh sliced garden tomatoes for Granddaddy’s noon meal. He always closed his little barber shop for the lunch hour. Back then, a haircut was only $0.35 cents, proudly hand painted on his sign out front. Sounds heavenly Linda! Now I’m craving fried chicken … and a .35 haircut! I think that’s kind of awesome that they did that! I love your dipper idea!!! Actually Campbell’s chicken soup reminds me of childhood in the winter. My mom would make it. It was one of the first foods Learned to make by myself on the stove! As a kid, I was also known to whip up a mean bowl of Campbell’s chicken noodle!! Oh my goodness. I am making this for Daphne & Val tomorrow night!!! They will love it. I hope they love it as much as my girls do! Now that’s new – I’ll have to try dipping my PB in soup! I think you’re on to something Pat! You know Marcel Proust wrote an entire novel based on the smell of madeleines he remembered from childhood, right? For me it’s Campbell’s chicken noodle soup with graham crackers. Who knew soup could be so cerebral! Such a great idea and looks yummy!